A relatively new, drug resistant pathogen called Candida Auris (C. Auris) has recently been making headlines related to infection outbreaks in hospital and nursing homes. What is it? Candida auris is an emerging fungal pathogen that causes serious infections and has been responsible for outbreaks among hospitalized patients. Why is it a problem? Candida auris causes infections that are resistant to normal anti-fungal drugs used to treat Candida infections. Most susceptible are hospital and nursing home patients with serious medical problems. Currently, 1 in 3 people with a C. auris infection die. Candida auris related illnesses are difficult to identify in patients and can be mis-diagnosed. Difficulty in identifying a patient illness related to Candida auris allows it spread rapidly. What Disinfectants are effective on C. auris? There are no disinfectants with specific efficacy claims for C. auris. Therefore, the CDC is recommending the use of sporicidal disinfectants that have efficacy claims for Clostridium Difficile (C. Diff) spores. A list of disinfectants can be found on LIST K (see link below). Current CDC information: For specifics on the disease and steps needed to identify, treat, and prevent infection, one should consult the Centers for Disease Control for guidance and recommendations. A link directly to the CDC C Auris webpage can be found at the bottom of this post. This post will discuss the current recommendations by the CDC for disinfecting against C. Auris. The paragraphs below quote the environmental disinfecting recommendations against C. auris found on the CDC webpage. C. auris can persist on surfaces in healthcare environments. C. auris has been cultured from multiple locations in patient rooms, including both high touch surfaces, such as bedside tables and bed rails, and locations further away from the patient, such as windowsills. C. auris has also been identified on mobile equipment, such as glucometers, temperature probes, blood pressure cuffs, ultrasound machines, nursing carts, and crash carts. Meticulous cleaning and disinfection of both patient rooms and mobile equipment is necessary to reduce the risk of transmission. Multi-Clean offers Chlorinated Disinfecting Tablets that are effective on Clostridium Difficile. These tablets are EPA registered and when used at a dose of 2 tablets per quart of water will kill C. Diff spores in 4 minutes. The EPA Registration number is 71847-6-91038 (note when looking on LIST K, these tablets are listed under the primary registered name KLORSEPT, with EPA registration number 71847-6. 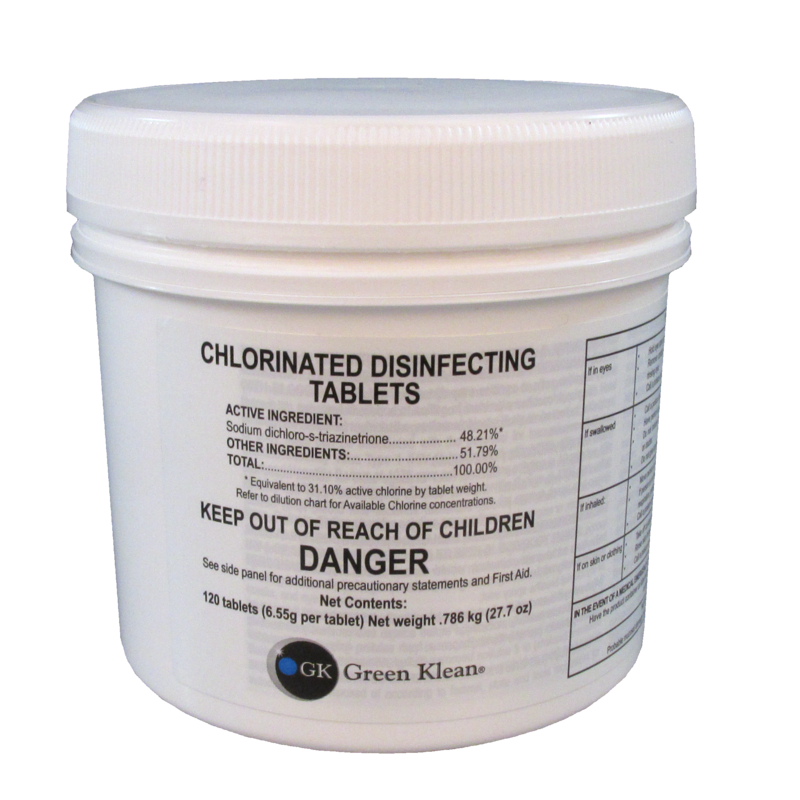 Chlorinated Disinfecting Tablets kill C. Diff and many other common pathogens when used as recommended. Simply dissolve the required number of tablets in the recommended amount of water to create a powerful disinfectant. The tablets are near neutral pH and will not damage surfaces like sodium hypochlorite bleach.